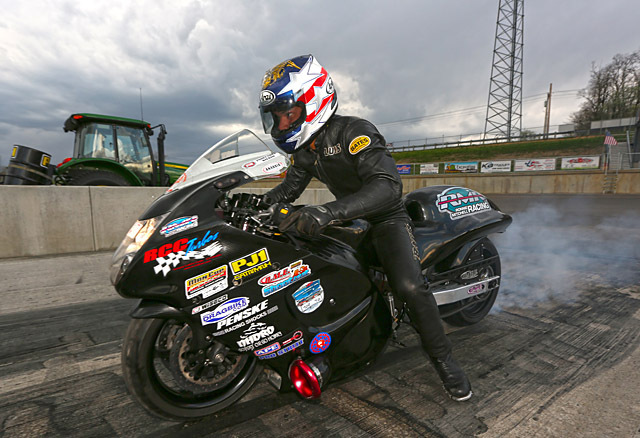 A massive oil down delayed the finish of NHDRO’s Liguori Drag Racing May Bike Fest right into a line of advancing thunderstorms that washed out the last few pairs of competition. 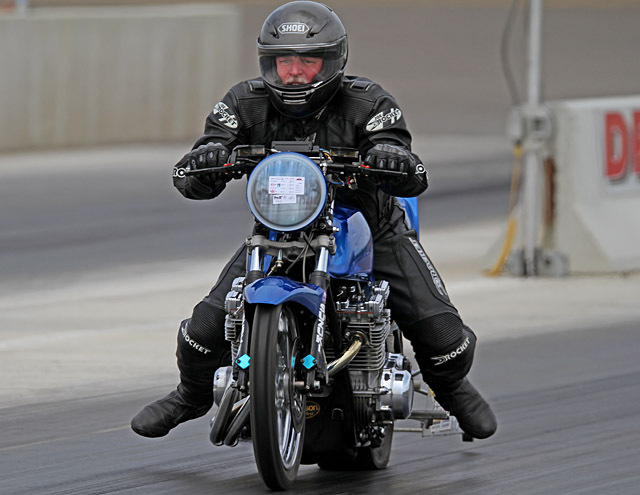 It was a dramatic ending to an otherwise beautiful weekend of motorcycle drag racing as the Midwest’s largest series made its first stop at historic, newly renovated Dragway 42 in West Salem, Ohio on May 4-6. Some classes were able to complete their ladder, including Pro Open. The Pro Open final pitted the nearly identical team bikes of Perry Paugh and Mike Chongris. 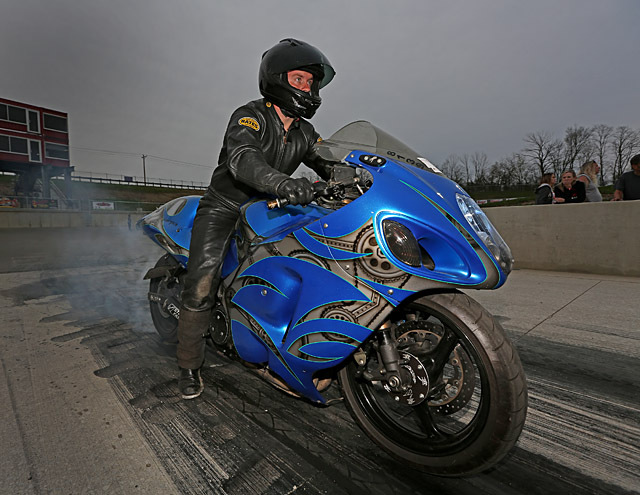 The two Cleveland-based, beautifully prepared, turbocharged Suzuki Hayabusa funnybikes were the class of the field, with team owner Paugh qualifying number one. Quicktime Motorsports/Lindeman Performance Pro Ultra 4.60 also ran their final, with Jimmy Muntain taking the win—again over Chongris, and again the first NHDRO win for Muntain—who also qualified number one with a 4.602. The final was an excellent race, with Muntain taking the tree with a .006 light and winning with a 4.62 to Chongris’ 4.64. “I had a good time there,” said Muntain, who plans on attending more NHDRO events. 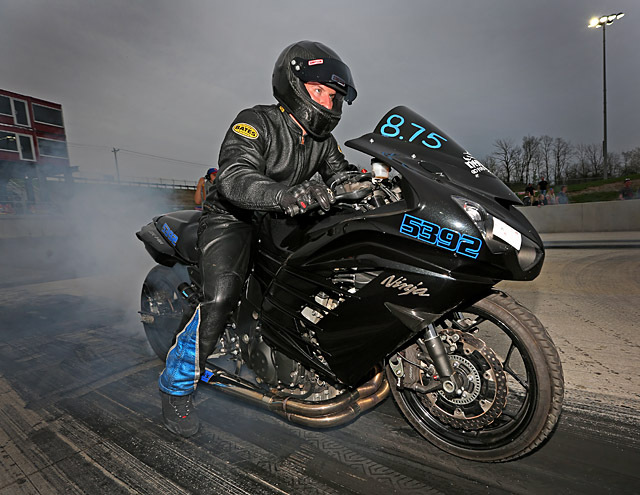 The world’s quickest street-legal bikes—McIntosh/Grayson Machine & Fabrication Pro Street—struggled with a freshly ground and lightly rubbered-in track. 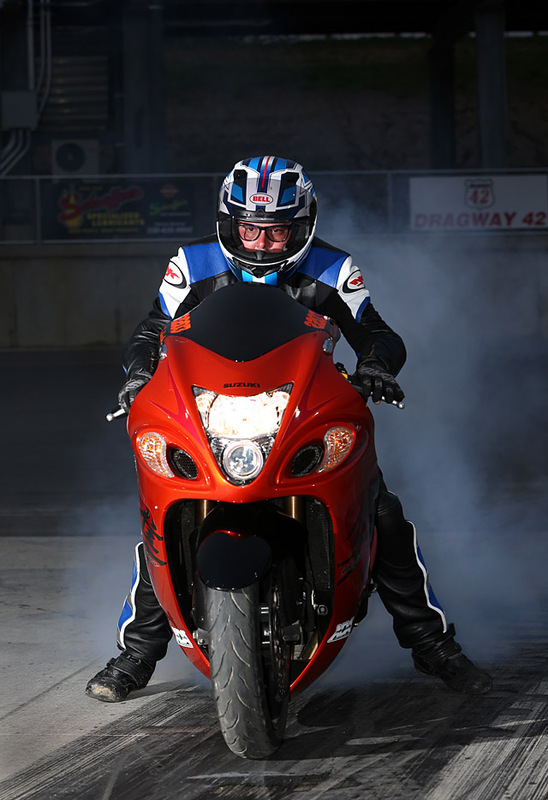 This was the first event held on a surface that was ground just three weeks previous, and the turbocharged, 700 horsepower bikes struggled to find the right tune-up to channel that power through their street tires. Number one qualifier Doug Gall solved the riddle best on Saturday, but it was Luis Hornedo and Quicktime Motorsports’ Brad Christian that reached the final on Sunday. 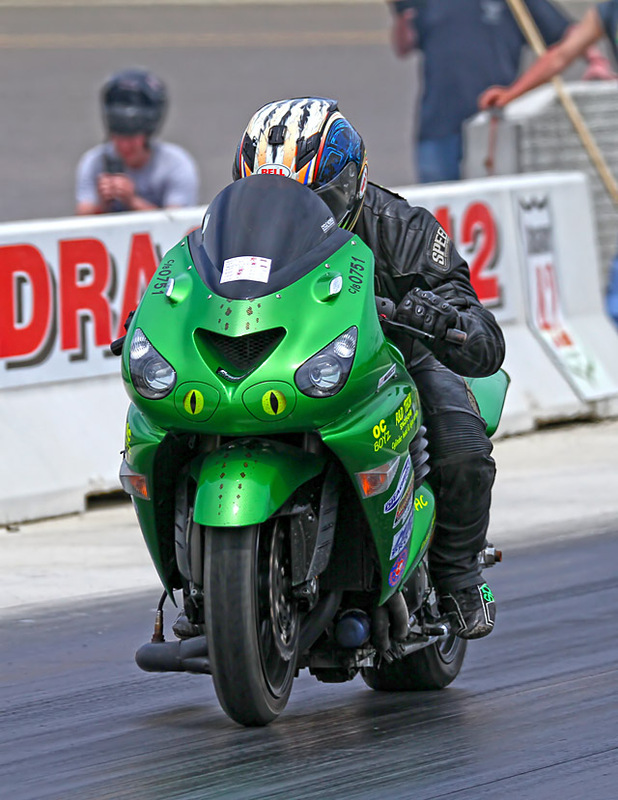 “I went back to a tune-up I ran at Byron in like 2006,” said Hornedo’s bike owner/tuner Ronnie Mitchell. 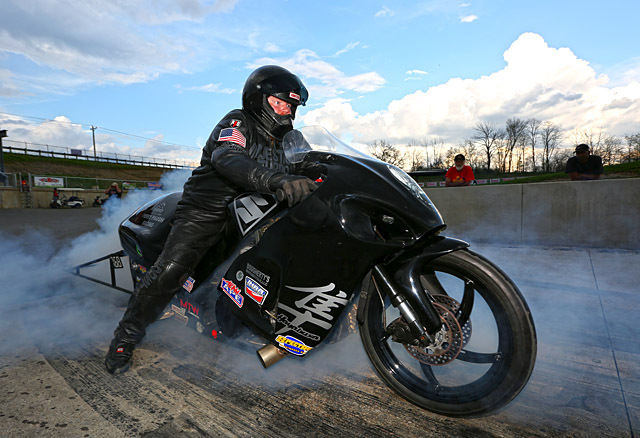 It’s the first Pro Street final for both riders, but it will have to be run at the next NHDRO race at Gateway Motorsports Park just outside of St. Louis on June 8-10. “I can’t wait!” said Hornedo. 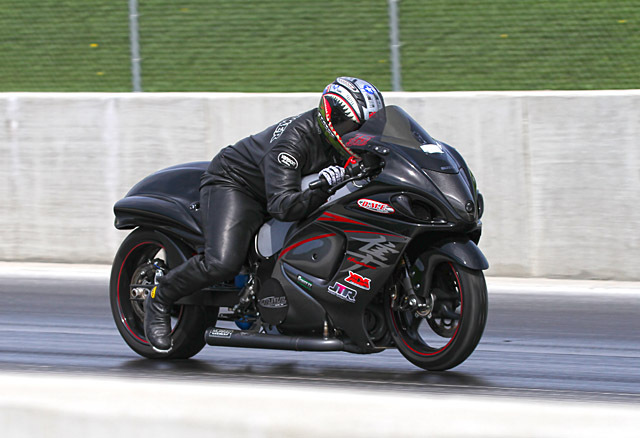 Craig Adams qualified number one in Top Gas with an 8.206, but was out in round 2. There were three bikes still standing when the rain came, with Jeremy Teasley holding a bye to the final. Mike Hall and Dustin “Biscuits” Lee will vie for the right to meet Teasley for the win in June. Teasley qualified number one in Millennium Trailers Super Comp with an 8.905, but lost to Scott Sheppeard in round 1. Sheppeard beat Lee in the semis and will face Ken Selner in the final when this race is decided at Gateway. Jeremy’s not the only Teasley to have a successful weekend, as younger brother Cameron has a bye to the Penske Racing Shocks Street Fighter final. Cameron will face either Kevin Adams or Jeff Hall. 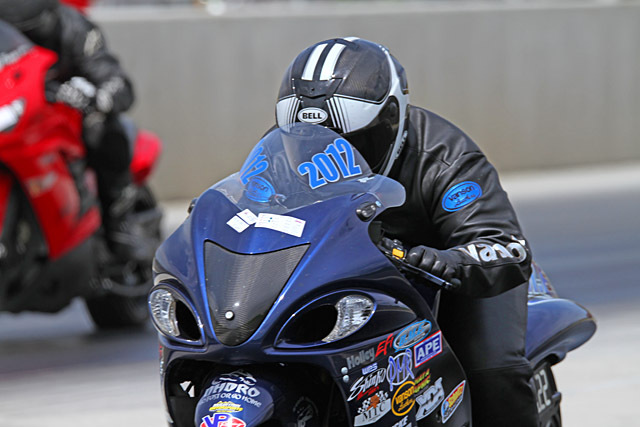 Former Top Gas champ Greg Mallet qualified number one with a 9.503. Vince “Family Man” Hileman made the most dramatic Street Fighter pass of the weekend, crashing hard in the shutdown area. Hileman ground himself up pretty good with a broken left ankle, right foot, and elbow, along with many serious scrapes, but will live to race another day. M2.Shocks Crazy 8s still has the semis to run, with Selner facing Tylan Beckelheimer on one side of the ladder and Tom Cooper facing Brian Babiak on the other. Number one qualifier Murray Lonsbary (8.888) lost to Kevin Adams in the third round. Adams and Babiak were both winners on Saturday night, with Adams beating Garreth Sheppeard in Kevin Dennis Insurance Street ET and Babiak beating Dustin Lee in MPS Pro ET. Lee faces Jerome Gordon for a bye to the Sunday Street ET final when racing resumes at Gateway, as five riders remain standing. Ted Thompson races Beckelheimer for a chance to race Cameron Teasley, who has the bye to the semi. Pro ET has three bikes left: Randy King will race Doug Fisher, with the winner to race Jeremy Hicks (on Gary Goodwin’s bike) in the final. Saturday night’s big Performance Racing Products Grudge race saw NHDRO titans Whip and Wiggle matchup on “Peeping Tom” and “Gotti,” respectively, with Whip scoring the win. Doug Gall won Friday’s Total Racing Motorsports Grom race. 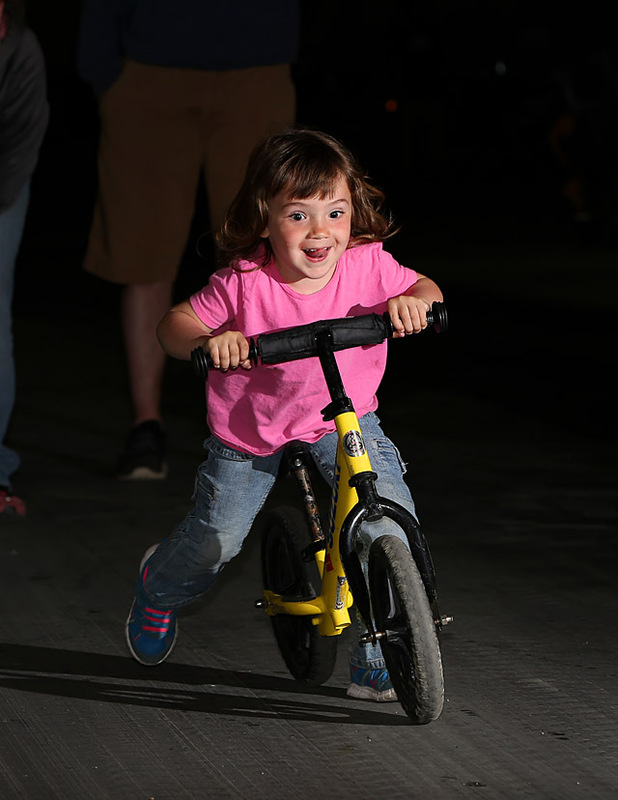 Payne Welch and Andy Lewis split Saturday’s Pit Bike race pot, and future star Zoey took the Kid’s Race. Oil down time was well spent with an impromptu slow roll contest. Where else but NHDRO does this kind of all-inclusive entertainment happen? Nowhere. 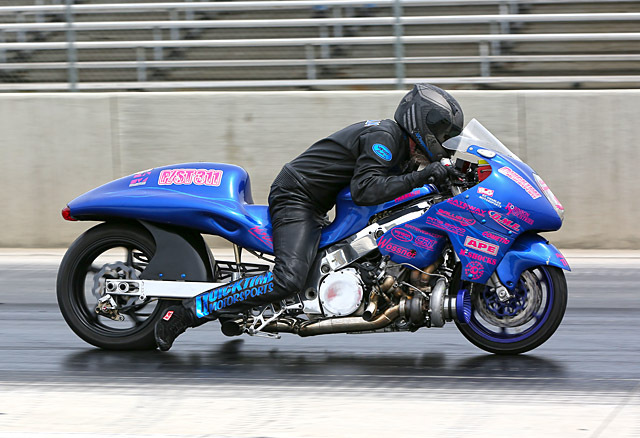 Brian and Niki Welch look forward to welcoming the NHDRO family back to Gateway in June to wrap up the Liguori Drag Racing May Bike Fest and kick off the Kenneth R. Schwartz attorney at law Motorcycle Madness.